On Jan. 16, ASTRO made their comeback with their 1st album “All Light”. 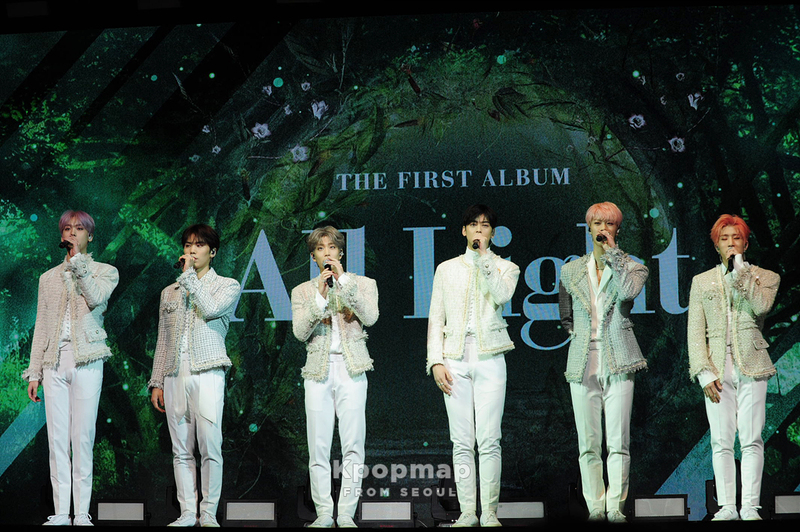 Kpopmap was gladly invited to the exclusive press showcase and happy to be able to witness the stages of their title track ‘All Night‘ and ‘Bloom’. Before entering the showcase venue, Kpopmap was presented with a signed album of “All Light”! 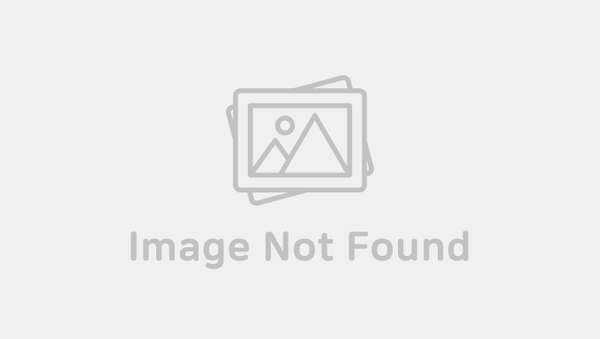 We would like to give our thanks once again to ASTRO and Fantagio Entertainment. You can check out our unboxing video here. After a short waiting time, the showcase began with a video of the members and soon enough, they came on stage to perform their new song ‘Bloom’. 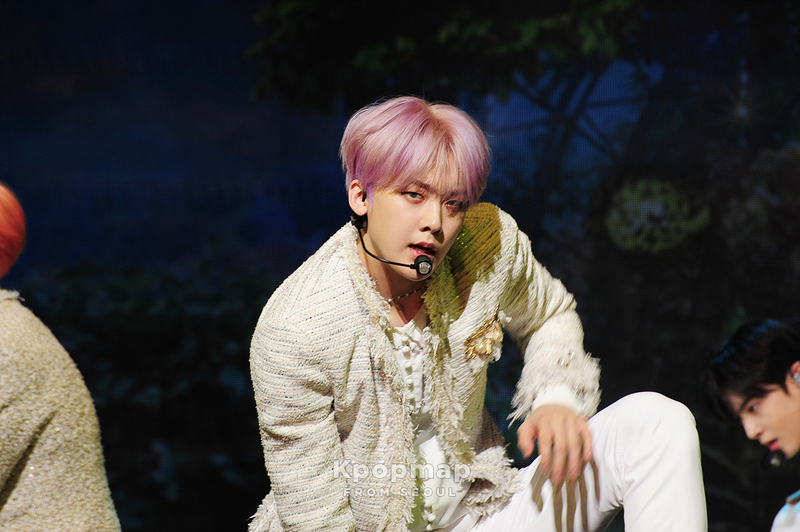 For more HD photos taken by Kpopmap, you can check them here. After concluding their very first live performance of “All Light”, the boys had a small talk with the MC. They greeted those who were present with bright smiles and also mentioned that they were very happy to return with a full length album. 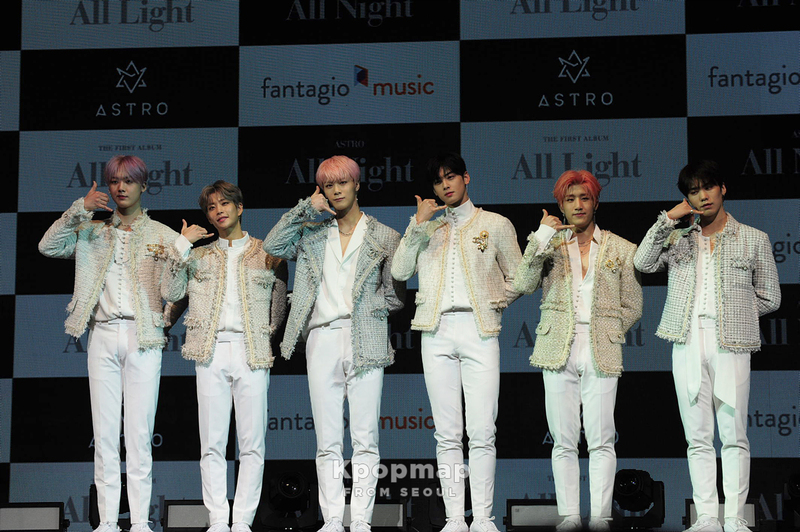 Without further ado, ASTRO shared with us their music video for their title track ‘All Night’. You can check out the music video here. While screening the premiere of their music video, the boys headed backstage to prepare for the next live performance. 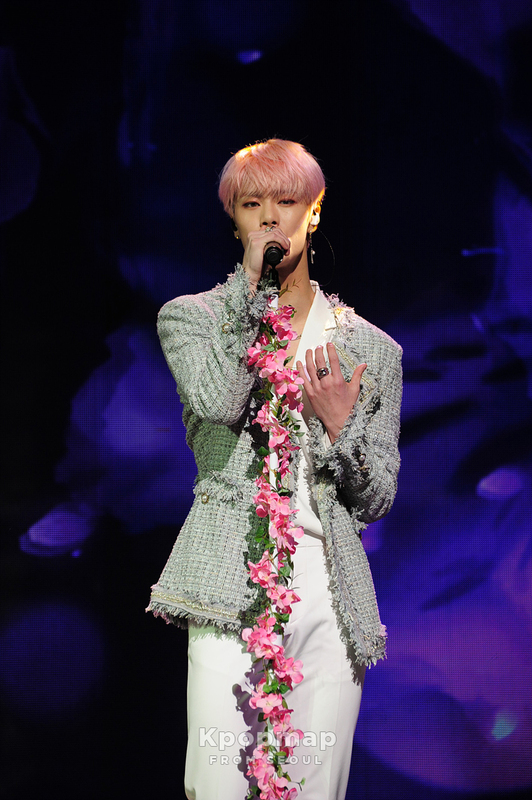 They came back on stage and every member wowed the audience with their spectacular stage presence. 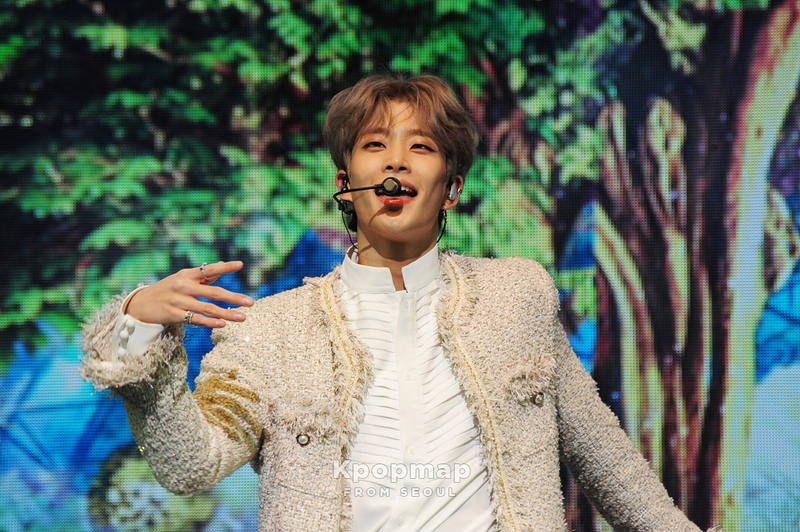 With that, ASTRO concluded their stage performances and finally sat down to introduce their first album and answer some of the questions many have been curious. 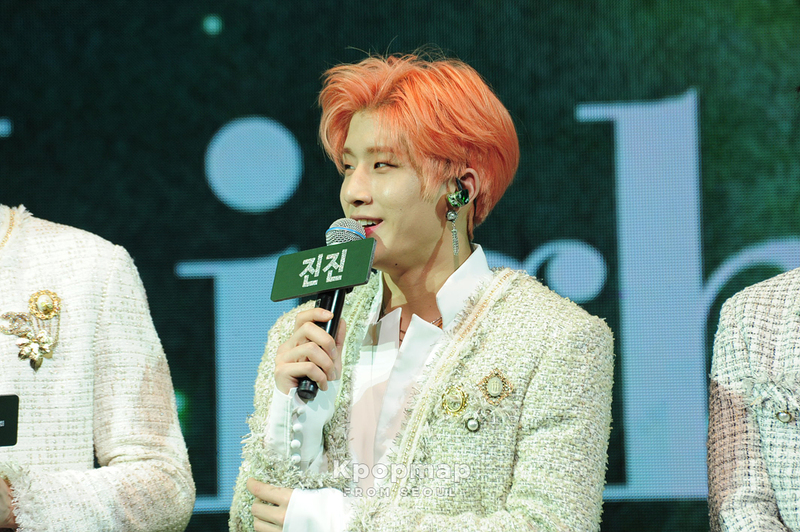 Leader JinJin mentioned that for this album, all the members of ASTRO took part in one way or another when it comes to choosing the concept, making the choreography and so on. All of them were also very happy and satisfied that the music video turned out very well. 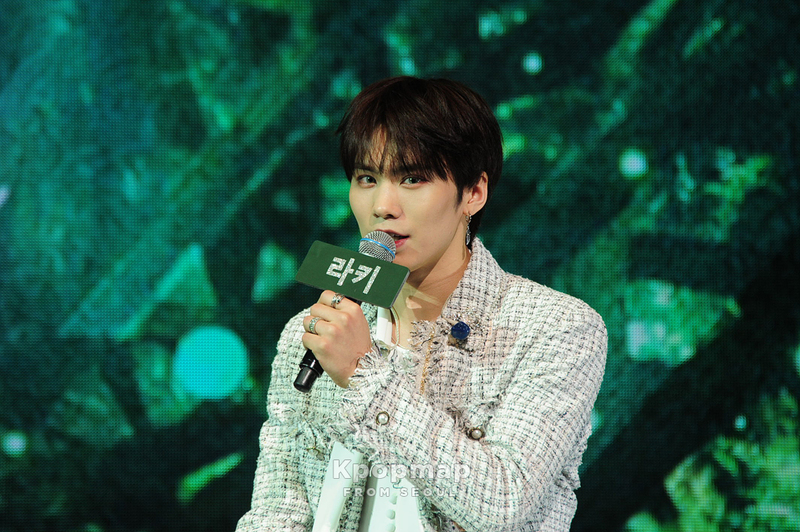 Rocky also explained that for this album, they have decided to go with the theme of ‘light’ or ‘glitter’ that allow them to ‘shine’. Their costumes are selected such that it gave them the angelic vibe. The boys also continued by sharing that some of them tried putting on colored lens for the very first time. 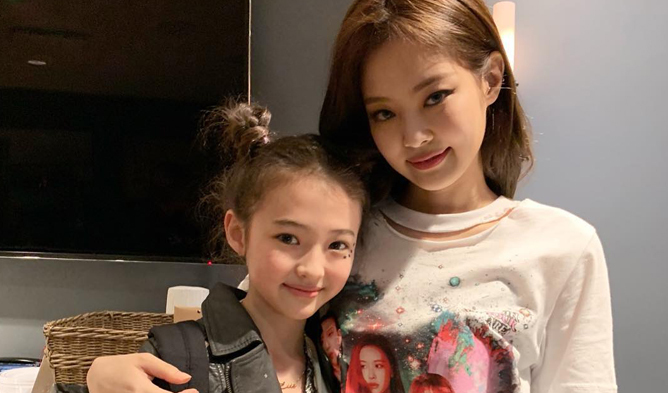 As it was their first time, they were unsure of the reactions from their fans but it seemed that their fans love the new look that they are sporting. 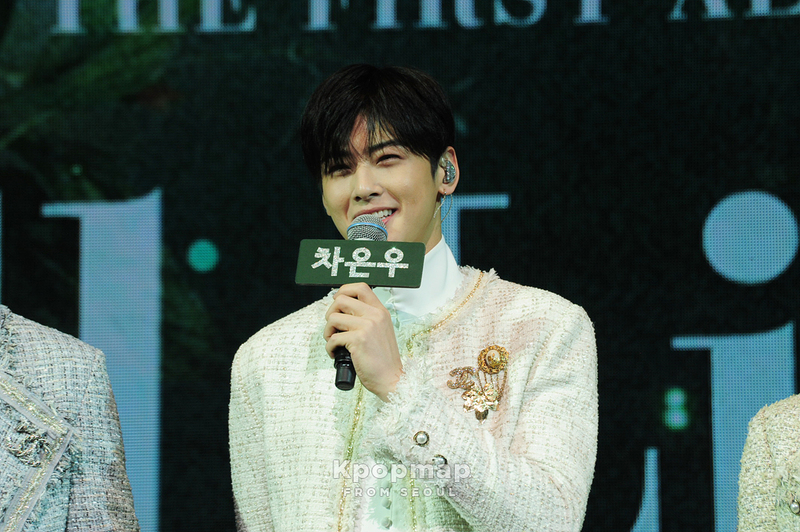 Cha EunWoo also shared that he felt very happy to be able to promote as a group as he had been busy with individual activities for quite some time. 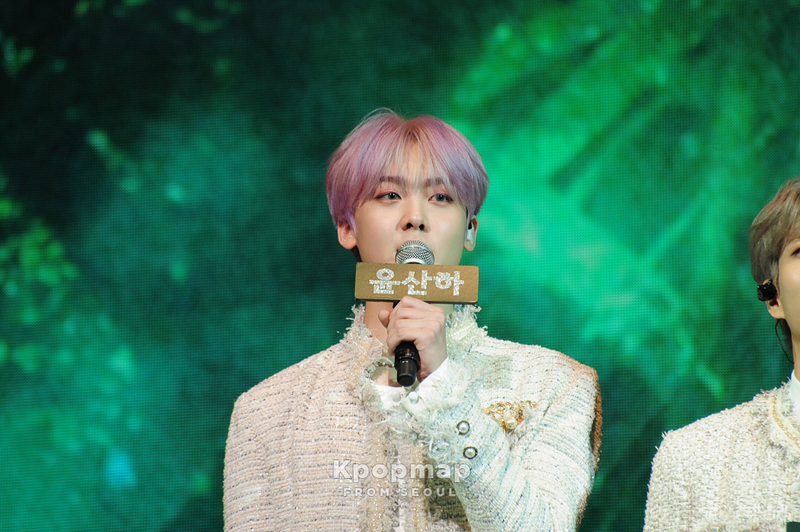 SanHa also answered a question that addressed his feelings about finally becoming an adult. Being born in 2000, SanHa legally becomes an adult in 2019. He shared that now that he is of age, he has more responsibility and ought to behave in a more mature manner. 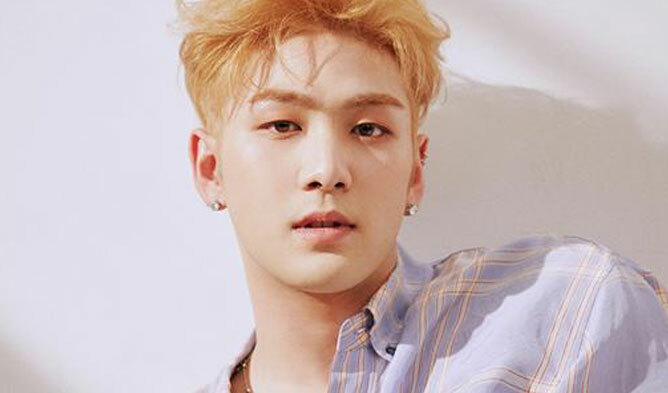 With that, the rest of the members also gave him an endearing look. Lastly, they summed up the showcase by sharing the goals they hoped to achieve in this promotion. All the members have a common goal and that is to enter the music chart for the first time! 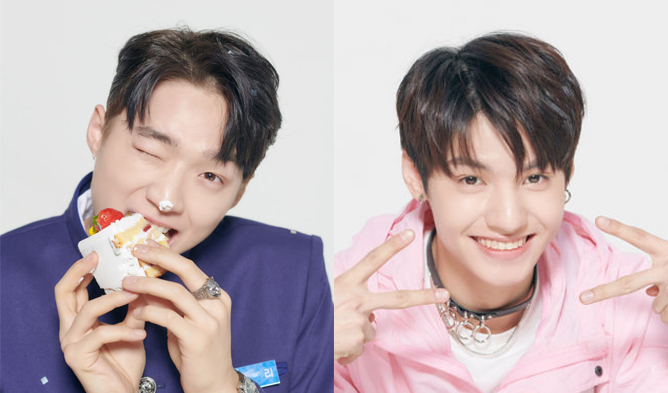 Not only that, they also hoped that they will be able to complete the promotions with no one getting injured and asked everyone to look forward to their future activities.